We have fantastic news. This spring we had a young man take home one of our doelings for a 4H project. 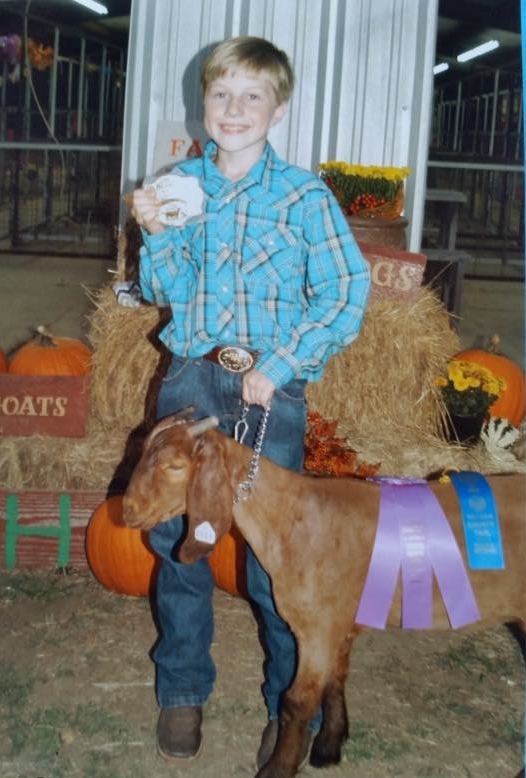 Hunter's Dad called us last night to let us know that he took 1st place and 2nd place ribbons for his artwork ( of which I have a beautifully framed piece on my desk) but his goat took GrandChampion registered doe! Hunter also took first in showmanship! This young man dedicated his entire summer to working with his doe. He is with her in the mornings before school, after school and every spare moment he has. These Lovely young ladies had their first show in Louisiana showing the dairy kids purchased from us here at Rafter D Farms. They placed 2nd and 3rd in their classes. We are so proud of Hunter, his hard work has once again paid off for him at this years show. He took Reserve Champion with his Doe! Way to go!